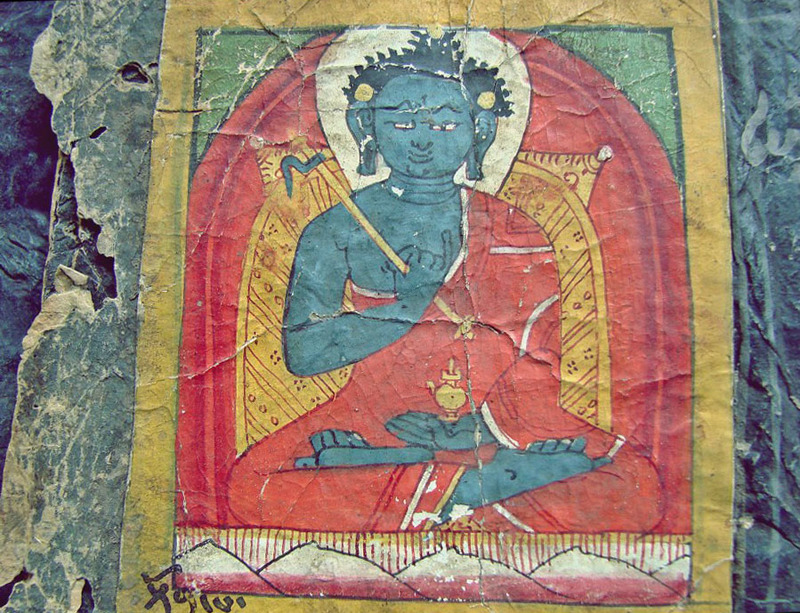 Sipa Sangpo Bumtri, Deity of Phenomenal Existence, is one of the Four Transcendent Lords of the Yungdrung Bön. The other three are The Great Deity Shenlha Ökar, The Great Mother of Space Satrik Ersang and Lord Tönpa Shenrap Miwoche. These Four Deities are traditionally displayed together in every Yungdrung Bön temple and are often surrounded by the 1,000 Enlightened Beings. Posted on November 13, 2014, in Preservation, Sacred Scriptures, Uncategorized and tagged religious texts, sacred art, spirituality, tibet, Tibetan history, Tibetan Texts, yungdrung bon. Bookmark the permalink. Leave a comment.